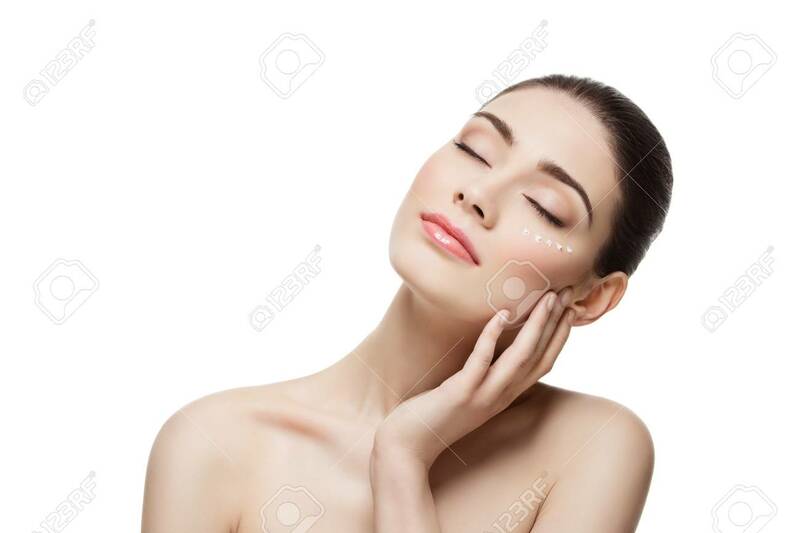 Beautiful Young Woman With Moisturizing Cream Dots On Face. Isolated.. Stock Photo, Picture And Royalty Free Image. Image 51246933.